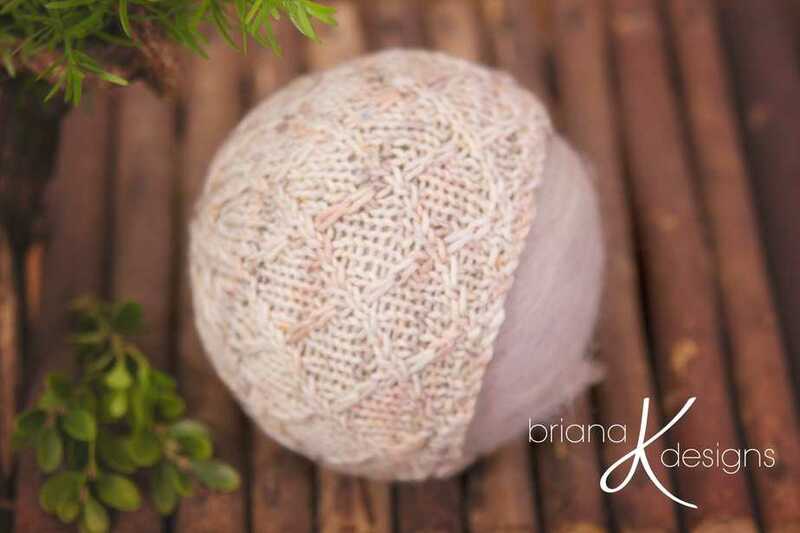 The fifth edition to the Briana K Knit Newborn Bonnet Packs. 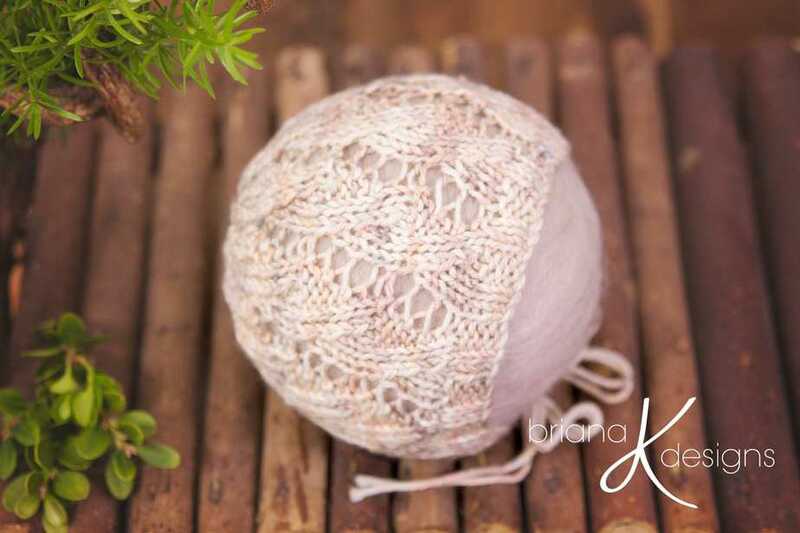 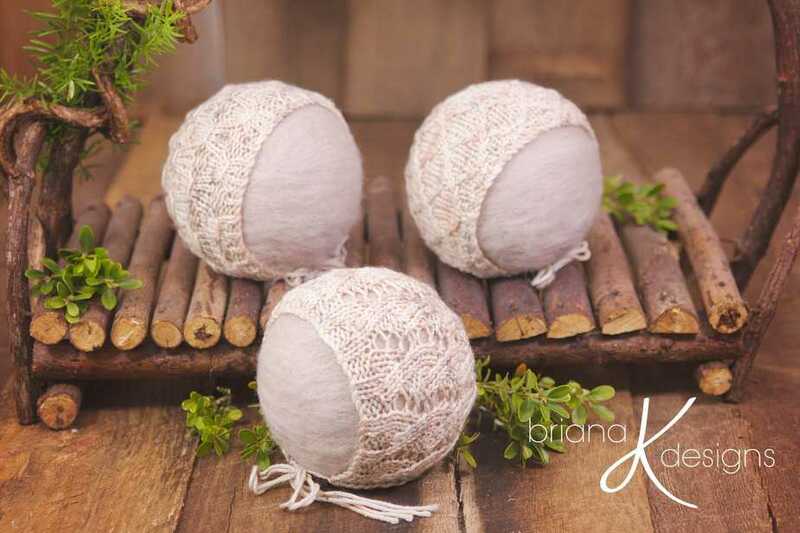 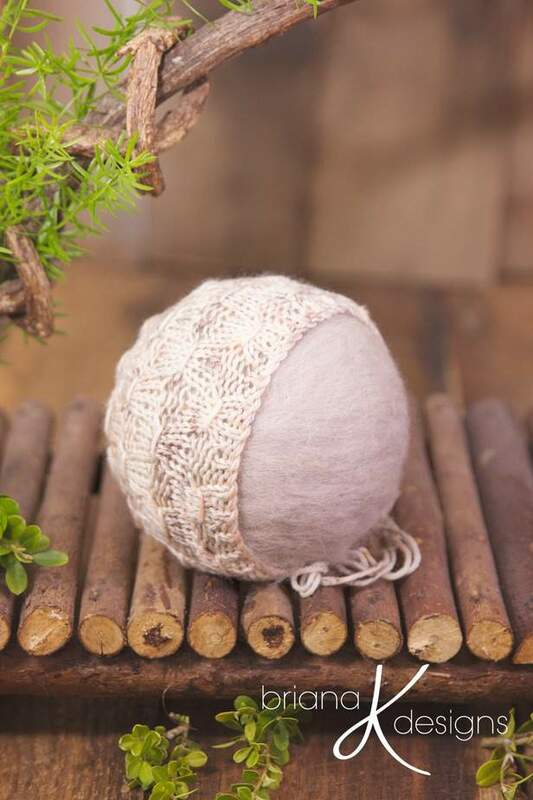 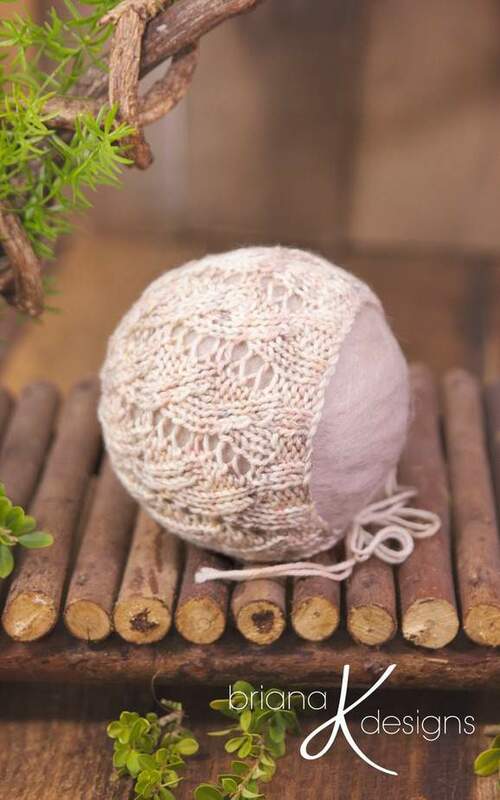 This pack features bonnets in a DK yarn weight. 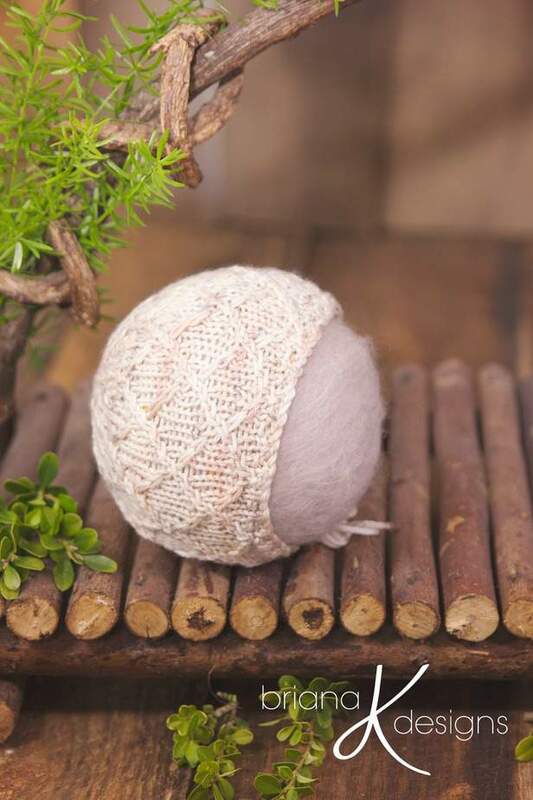 Each bonnet had a unique look that is beautiful in any newborn photo session.